If that wasn’t enough, one of our favorite architects, Patrick Ahearn, has a new book out. Timeless: Classic American Architecture for Contemporary Living is an absolute gem, a must-have for every coffee table. If you’re a longtime Design Chic reader, you know we have had a long-standing love affair with Ahearn’s work. But we can confidently say that this compilation showcases some of Ahearn’s very best work–and we don’t have to tell you that we are always excited to see his new, unpublished designs! And charming entryways and mudrooms make for an ideal vacation spot. We love the architectural details in Ahearn’s interiors, but the exteriors might be even more fabulous. A pretty poolhouse with with an idyllic fireplace is perfect for year-round outdoor lounging. Just, wow. Cedar shake has never looked better! A perfectly manicured yard is the icing on the cake. Needless to say, this is a book of dream houses–and ultimate inspiration. 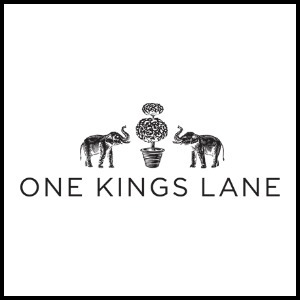 We know this is one we will return to again and again–and we think you will too! Our thoughts and prayers go out to the families of the victims in the tragic Florida shooting. Resolving to read more this year? 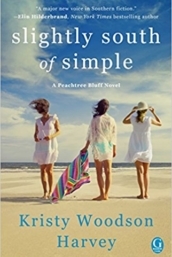 Pick up your copy of Slightly South of Simple, the first novel in my Peachtree Bluff series, and preorder book 2, The Secret to Southern Charm, releasing April 3! I’m so grateful for the support of my readers! I will certainly be purchasing this book for myself. Patrick Ahearn is my favorite!!! I am a huge fan of his, especially after visiting Martha’s Vineyard last year! I could stare at his work all day. I really need to order that book! Hi Shelley, That’s terrific you were able to see some of Patrick’s work on the Vineyard last summer! You can order his book Timeless is on Amazon. Enjoy! Thanks for the preview! It’s such timeless architecture and the interiors so tailored and classic. Best wishes to you on book #4! Love this! Going to check out this book!!! The house is lovely. I really love that vintage Mercedes Benz out front also. Wonderful book!